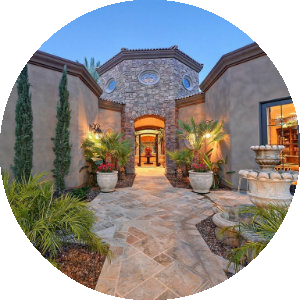 Search Peoria homes for sale & real estate in Peoria AZ. The city of Peoria, Arizona takes pride in its large sports complex and as the training grounds for both the Seattle Mariners and the San Diego Padres. The city is much more than that because as many of its residents can attest, it is one of the best places to live in US. Do not take their word for it, the 2008, July publication considered Peoria one of the top 100 best places to live. Several popular neighborhoods such as Trilogy at Vistancia are experiencing an average listing price increase of 0.3% at this time. Families are taking a serious look at 2 and 4-bedroom homes, due to the high parent ratings of the three main elementary schools in the area. 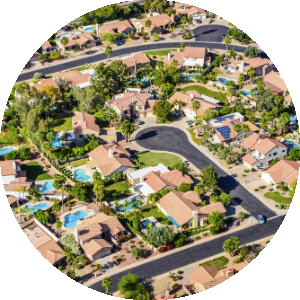 Whether the potential homebuyer prefers condominiums, townhouses or single family homes, they are all available in the Peoria area. 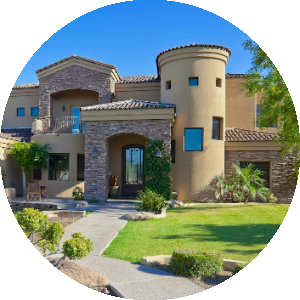 Contact your Peoria Arizona real estate experts today for information about Peoria neighborhood properties for sale or to schedule a private home tour.